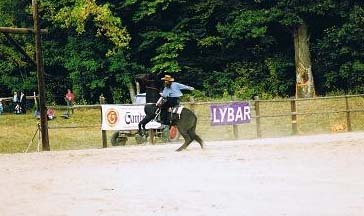 My first race with mare Crazy. 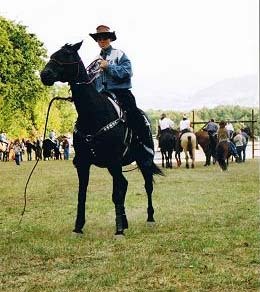 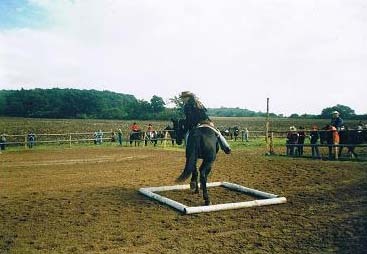 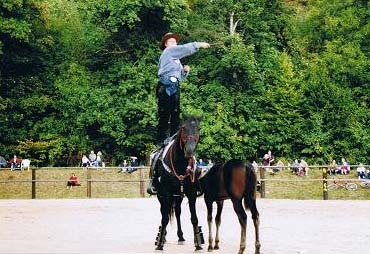 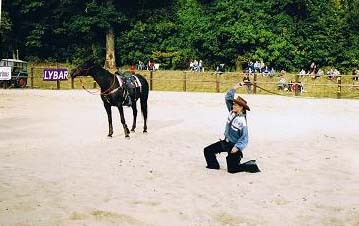 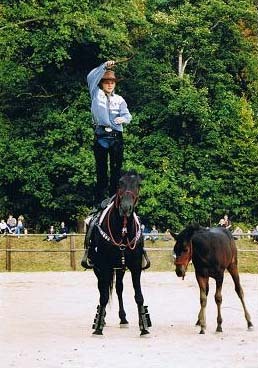 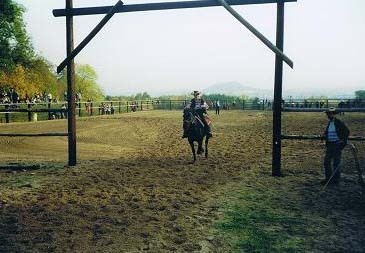 Western games Rodeo in Pritkov, 14.10.2000. 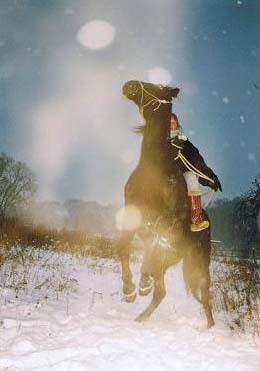 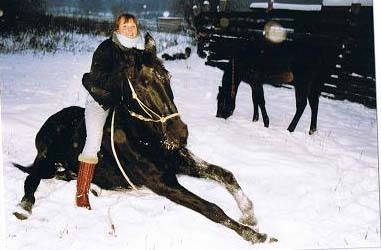 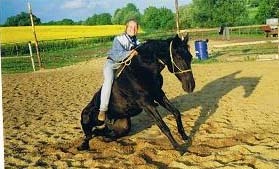 Our 1.price The Golden Horse – discipline Saving, RANCH Northern Star, 14.10.2000 . 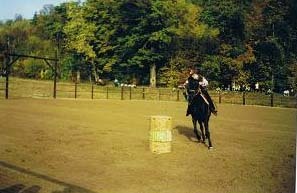 At the end of this year we won the price - THE BEST RIDER. 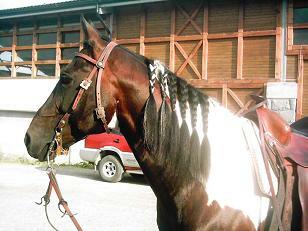 I got the wonderful fastener of belt..
And then Crazy fell in love with nice stallion Daky. 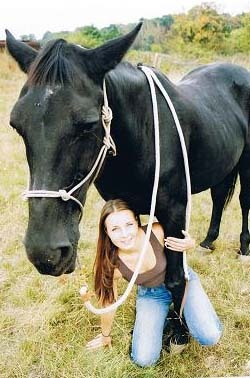 He came to us for a visit, they loved ourselves. 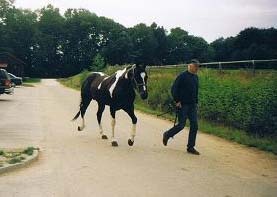 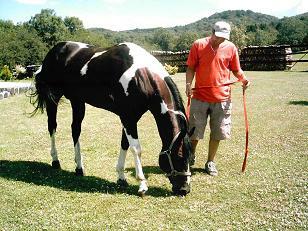 In 2002 she was pregnant with Daky, so we reduce the racing to have a colt healthy. 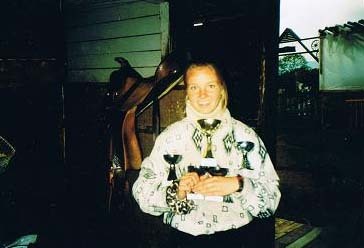 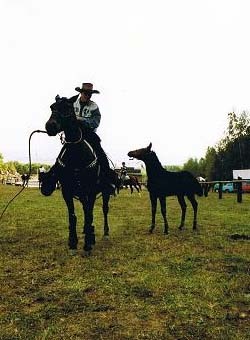 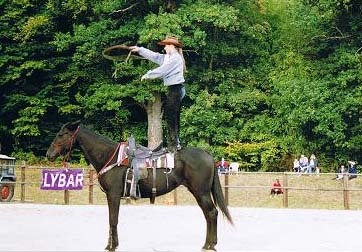 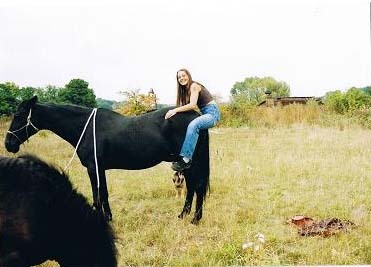 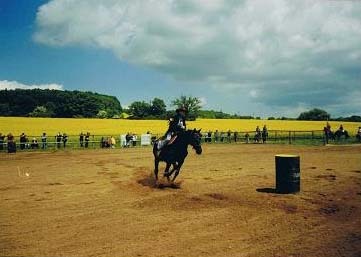 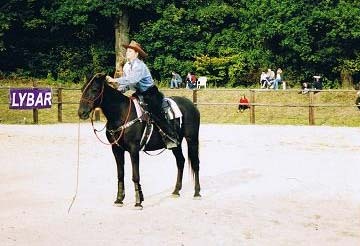 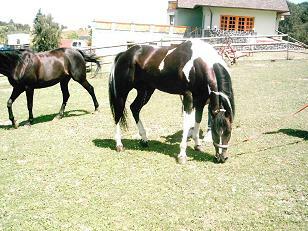 In year 2003 was born the colt Clea and we had our first performance with whip together as an interspace among disciplines at Rodeo racing in Pritkov. 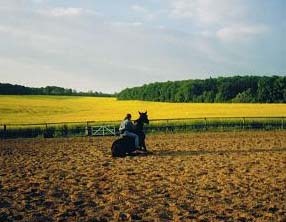 It was for the last time when I raced with Crazy, she is old and has arthritis, so I decided to leave her to pension. 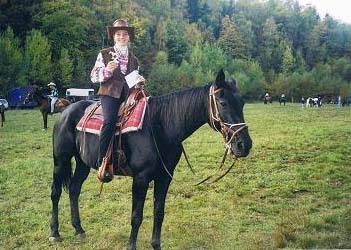 By the time I drill my young Clea. 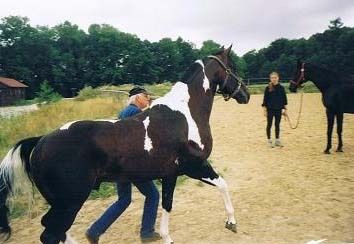 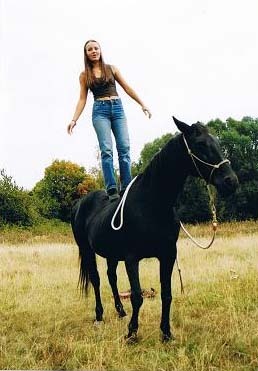 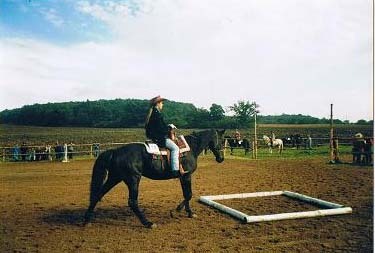 We train method „from the ground“ to be well prepared to saddle. 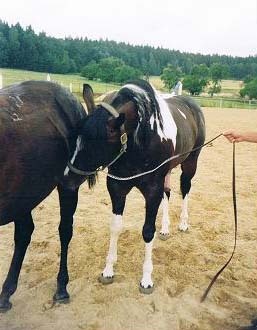 During those days I was at The American Paint Show in village Celadna with her father Daky. 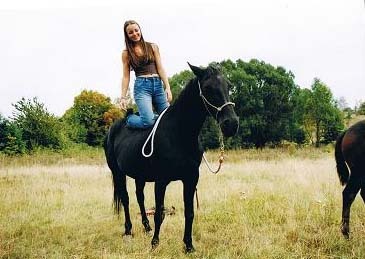 I cared for him and I was grateful to saddle him. 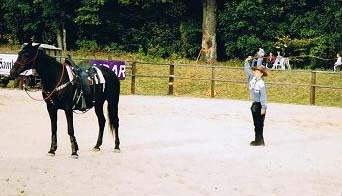 Of course, her master raced all disciplines... 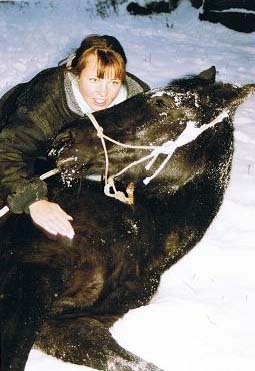 I have to admit it was pleasure for me – Daky was well drilled, well bred. 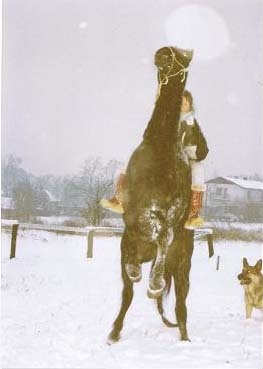 I could not believe it. 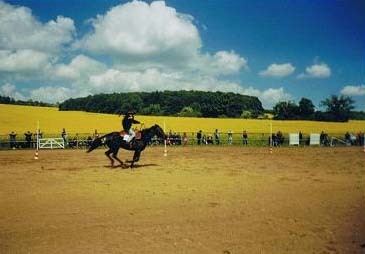 Great performance, Daky won several prices and since then I am interested in disciplines: Reining, Pleasure etc.